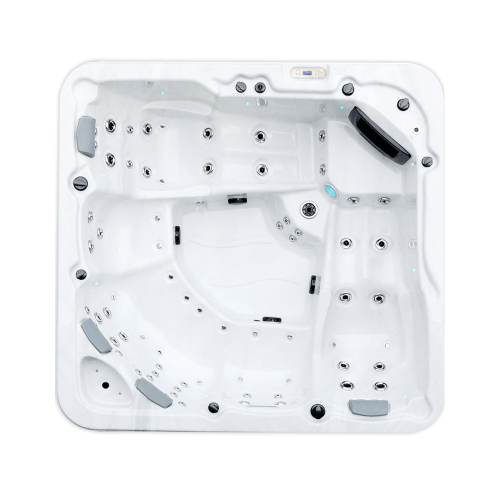 Product Description: The Galaxy Aquarius is our ultimate spa for families and entertainers alike with two loungers, 4 seats and 78 premium jets providing superior comfort and an awesome massage experience. We are loving the Aquila, thanks Galaxy! We had owned a spa before so we knew what to look for. We were after top notch insulation to keep our running costs down, and a good control system. We like to keep active and wanted good jet pressure and where the jets are placed is important – we got in this model in the store and it was just more comfortable. And knowing that there is a dealer in town to look after you with any issues was important to us, but we haven’t had any problems, we are loving the Aquila, thanks Galaxy! Galaxy was definitely our preferred choice. We have had our Galaxy Spa for around 2 months now and it was the best thing we ever did. Can’t recommend Lyall Bay BBQ & Fire highly enough. 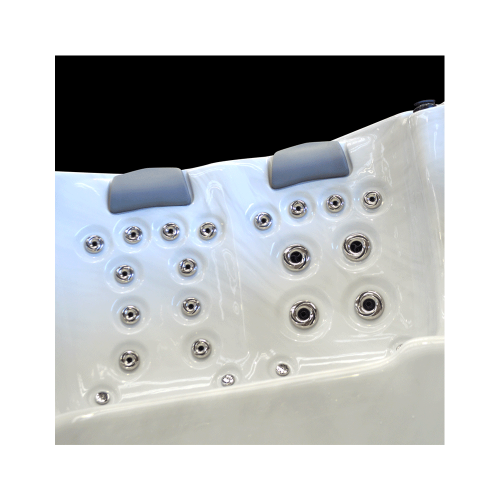 We had been thinking about a spa for a while but when we found out my husband had to have a 3rd spinal fusion it made our decision easy. The ability to swap the jets to make it just right for what is needed is great. Can’t recommend the massage jets enough. what also made our decision easy was the “simple silver” solution, especially as I suffer from eczema. Easy to operate and the cover is fantastic with the cradle. Colour choice was also great. We went for the blue which gives a great effect and depth especially at night when the lights are on. Having looked at so many suppliers/manufacturers there was no competition. Galaxy was definitely our preferred choice. We highly recommend this pool. 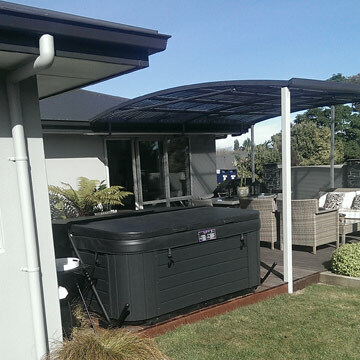 We have had spas for several years and recently moved to Nelson so started looking around at what was available on the market. Without a doubt be both agreed on the Aquila Star with its two recliners and other great features. Another thing we love is Its so quiet because its outside our bedroom and we don`t notice it turning on and off. We highly recommend this pool and one of our friends has also bought one. Helpful with daily aches and pains and the aromatherapy is great too. 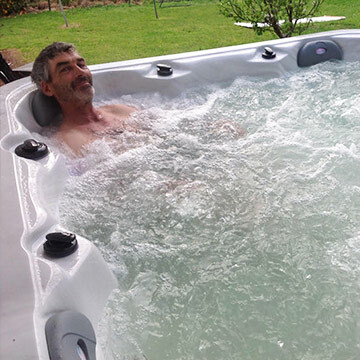 After months of research we got a Galaxy Aquila Star spa pool recently and it’s been brilliant! 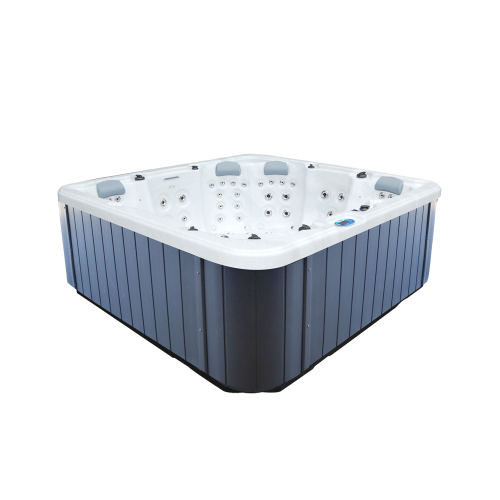 We have a very physically demanding workload and wanted it for relaxation but the added adjustable hydrotherapy features have been so helpful with daily aches and pains and the aromatherapy is great too. It’s so soothing to sit in, soaking away the days stresses with the lights on and fountains on, while in the lounge seats. It’s been so easy to use too, the control panel has been so much easier to set than I thought it would be, the filters are easy to get to for cleaning and the spa is so quiet, as its outside our bedroom we needed something that wouldn’t make much noise. This spa has been the best investment for our family, we only wish we’d done this years ago. I will definitely recommend your pools!! 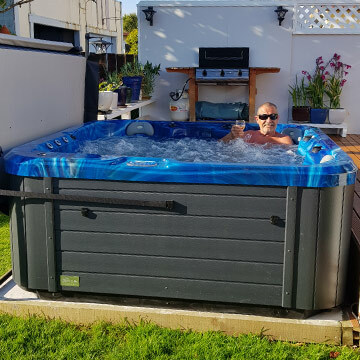 I thought it prudent to provide you some feedback on my new purchase of your Galaxy Aquila Star pool as I am hard to please!! I was very impressed with the freight packaging and steel support frame. The information supplied on the outside of the packaging was informative and details of the seating arrangement to position the unit prior to unpacking was a great thought. The external cover was unexpected, as it’s at the bach this will provide additional protection and also improve the efficiency while we are not there and also provide you with some good advertising. The pool came with the lead and plug connected and the side covers had Allen Key screws. The manufacturing, internal insulation, fibreglass base, quality printed manual and attention to detail was second to none and at a fair price. Once in the pool we had a few wines and there was plenty of places to put your glass, well done! The seating layout, height and colour was excellent and I will definitely recommend your pools!! Finally, the salesperson was personable and delivery the next day was great!! Excellent quality pool yet still very competitively priced. 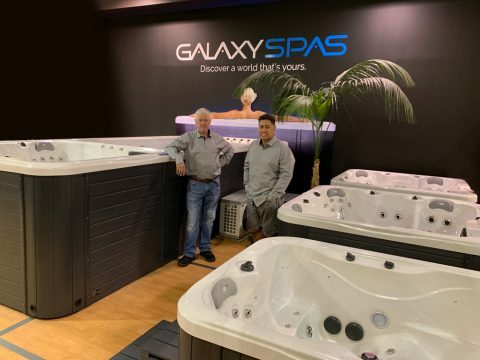 We recently purchased a galaxy spa pool. We did quite a bit of research to reach the decision and have been thrilled with our choice. The pool suits our needs perfectly accommodating teenage daughters and their friends and adults when the teenagers are not there! The pool is easy to use and super comfortable to be in. It is an excellent quality pool yet still very competitively priced. The team at 4 seasons have been superb at following up especially given that we are first time spa pool owners. They would top our recommendations as well. 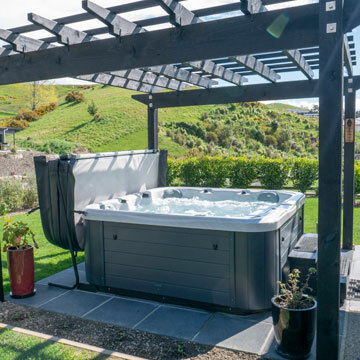 Spa Pools are incredibly complex things, let us help you cut through the mustard, book an in store product overview with one of friendly dealers today. Get a quote from us today, we’ll be upfront and provide you with a no surprises quote for everything you need to get set up. 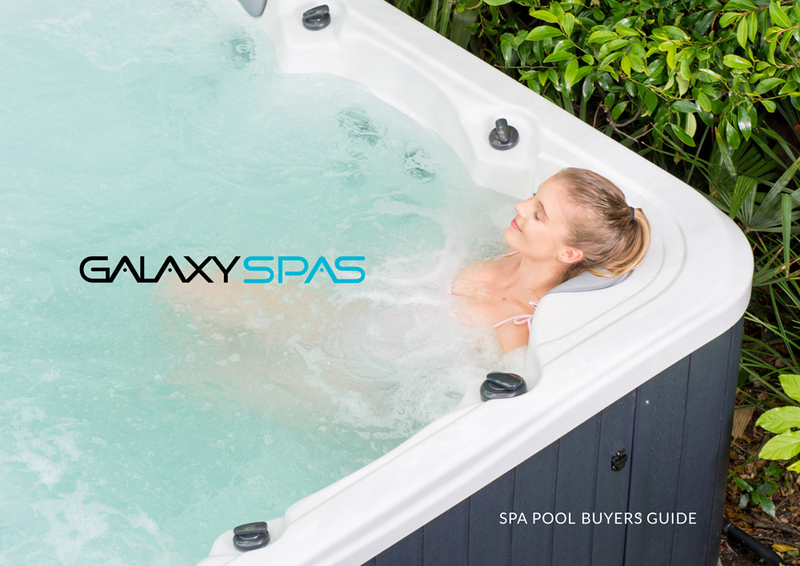 Here at Galaxy Spas, we believe that owning a spa can be more than just an aspirational luxury product, we believe it can change your life. Download our Spa Pool Buyers Guide to find out more about what to look for in a great water therapy spa pool.